One of our most popular kinds of invisible braces is Invisalign. This treatment consists of a series of custom-made, aligning trays that gradually move your teeth to their correct position over a designated period of time. You change the trays every 7-10 days to progress the treatment. Invisalign aligners are especially suitable for adults who wish to transform their smile without the discomfort and disturbance of metal braces. 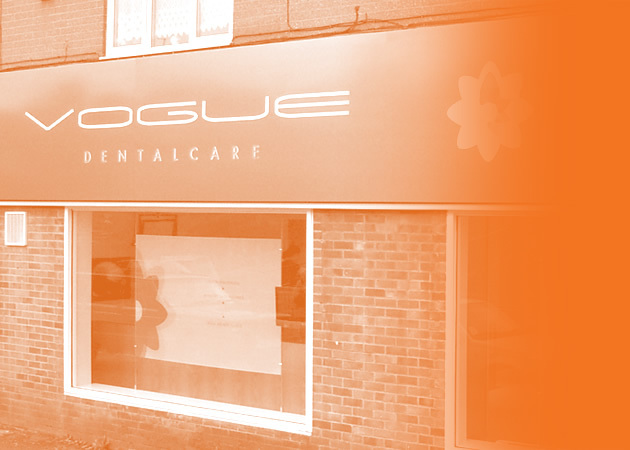 At Vogue Dental Care we offer different packages for Invisalign invisible braces in Luton, to fit your age, individual needs and specific oral problem. Unlike traditional braces, Invisalign relies on a clear aligner that gradually moves the teeth without being as bulky or obvious as metallic wires and brackets. Technically, Invisalign aligners are not entirely invisible, but they are the closest you can get to that. Every set of Invisalign aligners is different because different patients have different needs. Using 3D technology and modelling techniques, your dentist and the Invisalign laboratory will create a series of unique mouthpieces to help move your teeth smoothly and effectively to their desired positions. Unlike metal braces, which are fixed to your teeth, Invisalign aligners are removable and can be taken out to eat, brush your teeth or take a picture. However, Invisalign treatment requires commitment since the aligners have to be worn at least 20 hours per day in order to be effective. Generally, patients with mild dental problems make good Invisalign candidates, but for more complex problems, it may not be the appropriate solution. The only way to determine whether Invisalign treatment right for you, is to book an assessment with us. Invisalign cannot be used by children because they have not developed their adult t teeth, nonetheless, it is safe for teenagers through Invisalign Teen, a slightly modified but equally effective version of Invisalign invisible braces in Luton. Unlike metal braces, Invisalign is less painful because it exerts less pressure on your teeth. Although minor pain and sensitivity may occur even with Invisalign, it soon wears off. This entry was posted in Invisible Braces on 15th January, 2019 by Vogue Dental Care.